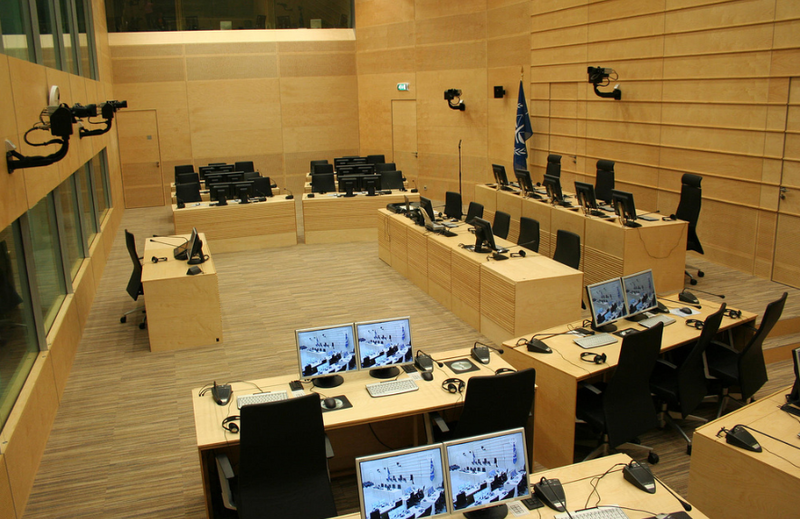 ← Could the International Criminal Court be a Development Agency? It is a regular occurrence to hear how the International Criminal Court (ICC) serves the interests of of particular actors, be it warring governments, rebel groups, or members of the international community more broadly. Rarely, however, have scholars and observers considered how the ICC’s decision-making is shaped by the ICC’s own ‘institutional self-interest’. At the heart of criticisms that the ICC is ‘political’ is the view that the Court is inherently and inevitably selective. This critique is deployed both within and between situations. In cases such as Uganda, Cote d’Ivoire and Libya, it is argued that the ICC has erred in targeting only one side of the conflict. Alternatively, it is argued that the Court focuses myopically on the weakest states in the international community (see the ICC-Africa debate), leaving situations where major power interests collide (e.g. Iraq, Syria and Afghanistan) beyond the reach of international justice. At the same time, the ICC has a well-rehearsed and institutionalized answer to these critiques: the Court can only investigate where in those states where it has jurisdiction; it can only investigate the ‘gravest’ crimes; and it will only seek to bring to account those individuals ‘most responsible’ for war crimes, crimes against humanity and genocide. These arguments are familiar to observers of international criminal justice. Each has merit and undoubtedly guides the decision-making and reasoning of the Office of the Prosecutor (OTP). But there is something else going on. It isn’t nefarious but it isn’t particularly transparent either. While it is important to note that Stewart’s comments pertain specifically to the case of Cote d’Ivoire, there are grounds to suggest that such an approach is applicable to the OTP’s approach to (at least some) other situations. 1) In at least some of its cases, the OTP believes that the ‘ideal’ is to prosecute all sides of a conflict. 2) The OTP believes that actually targeting both sides at the same time would harm its interests and the interests of justice, resulting in paralysis. 3) When faced with the dilemma of targeting one side of a conflict and not others, the OTP views being selective as a ‘pragmatic’ choice. 1) The position of the referring actor, especially when it is a state (e.g. Government of Uganda) or the Security Council (e.g. in the case of Darfur and Libya). These actors will try to encourage or coerce the ICC into investigating individuals and groups they view as ‘enemies’ (e.g. the Lord’s Resistance Army in northern Uganda and the Gaddafi regime in Libya). Notably, in no case of a self-referral has any individual from the referring party been indicted by the Court. 2) The position of ‘global civil society’ and the international ‘human rights community’. These actors, by and large, advocate the normative and moral principles underpinning the ICC and the impartial investigation of all sides responsible for international crimes. Inevitably there will be some exceptions (e.g. Invisible Children in Uganda propelling cases against the LRA and not the Government of Uganda). Importantly, these actors have effects not only on the Court but on other members of the international community, although their ‘normative reach’ across cases is up for debate. 3) The position of interested states in the international community, especially major powers. 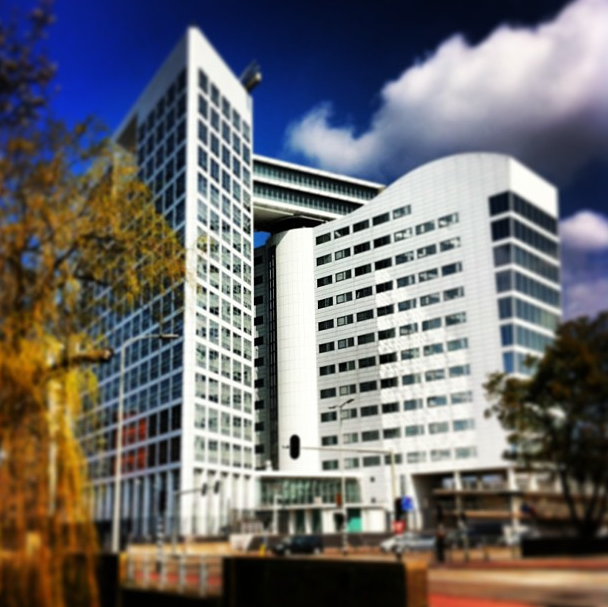 The ICC is likely to be prodded or encouraged to focus its work in specific ways and to investigate or not investigate certain cases where the interests of powerful actors are at play (see US position on ICC investigations in Palestine and Iraq; China, Russia and US position on ICC investigations in Syria). 4) The position of the ICC itself. This has changed dramatically as the Court has progressed from a nascent institution that was once unsure how long it would survive to one with 120 member-states and eight situations in its docket. Numerous forces, including those above, affect the ICC’s position and conception of self-interest. Broadly, the Court is expected to pursue decisions that can foreseeably add to its legitimacy and political credibility. So what does this ‘pragmatism’ look like in practice? Let’s briefly consider two examples: Uganda and Libya. In 2003, the ICC entered into negotiations with President Yoweri Museveni and the Government of Uganda over a potential self-referral. The OTP, then under ICC Prosecutor Luis Moreno-Ocampo, wanted both an ‘easy’ case for the Court to ‘cut its teeth on’ as well as an invitation from a state to investigate crimes committed on its territory. It seemingly achieved both. When Uganda self-referred the Lord’s Resistance Army to the ICC, it appeared to demonstrate a willingness to sacrifice a part of its sovereign entitlements to the Court. Moreover, because LRA leader Joseph Kony was almost universally vilified, it seemed plausible that an ICC intervention would quickly lead to concerted political action to arrest and surrender Kony to The Hague. In the wake of growing instability and disproportionate violence waged by the regime of Muammar Gaddafi against protesters, the UN Security Council referred the situation in Libya to the ICC. It was the Council’s second-ever referral, following the Darfur referral in 2005. The ICC responded with unprecedented speed. Just days after UN Security Council Resolution 1970 was passed, the OTP opened an official investigation and made clear that it was targeting senior figure of Gaddafi’s regime. Within three months, the Court had issued arrest warrants against Gaddafi, his son Saif and his intelligence and security chief, Abdullah al-Senussi. Why did the Court move so quickly? Because it saw an opportunity to capture and capitalize on a rare moment of support from the Security Council. It also probably understood that this moment was unlikely to last indefinitely (they were right). For better or worse, the OTP deemed that a close relationship with the Council was of value to its own legitimacy and credibility as an international institution. In both cases, the OTP was guided, at least in part, by a calculation of how the decisions it took (and those it didn’t) would be of benefit to the Court itself. Both critics of the Court as well as it defenders have been frustrated with the implications of the ICC’s decision-making. I do not know a single scholar of northern Uganda who believes that the decision of the ICC to side-step issuing arrest warrants for the Government of Uganda was right. Similarly, the OTP’s reluctance to investigate or prosecute rebel crimes in Libya (especially in Tawergha) has been met with widespread frustration. In both cases, the OTP has publicly aligned itself to the government and, in the case of Libya, with some rebel groups. But the OTP is in a difficult position. As Stewart’s comments suggest, going after everyone at the same time could easily lead to paralysis. It is worth asking how long the ICC could survive if it targeted all sides to a conflict or ignored the political realities of international relations by belligerently stepping on the toes of major powers. Under the early years of George W. Bush, the US tried to obliterate the Court. One reason that the United States stopped actively undermining the ICC and instead began moving closer to the Court under the Bush administration and then under Obama is that the OTP had posed little-to-no threat to the country’s interests. That wasn’t by accident even if its wisdom is up for debate. Cooperation from states is the ICC’s lifeblood. Without a police force, the Court has no means to ensure that arrest warrants are enforced. Here the issue of timing or ‘sequencing’ becomes essential. The ICC may be interested in investigating and prosecuting both sides but understands that doing so simultaneously is problematic and potentially deleterious. Thus, going after ‘rebels first and governments (maybe) later’ or ‘governments first and rebels (maybe) later’ can be seen as a means to ensure cooperation in the initial stages of an investigation and consequently get custody of indictees. The Court would be little more than a lofty, utopian aspiration if it had no one in custody. Selecting and pursuing cases where the chances of getting arrests is higher is thus likely part of the OTP’s calculus. This entry was posted in Deputy Prosecutor, ICC Prosecutor, International Criminal Court (ICC), Justice and tagged James Stewart. Bookmark the permalink. 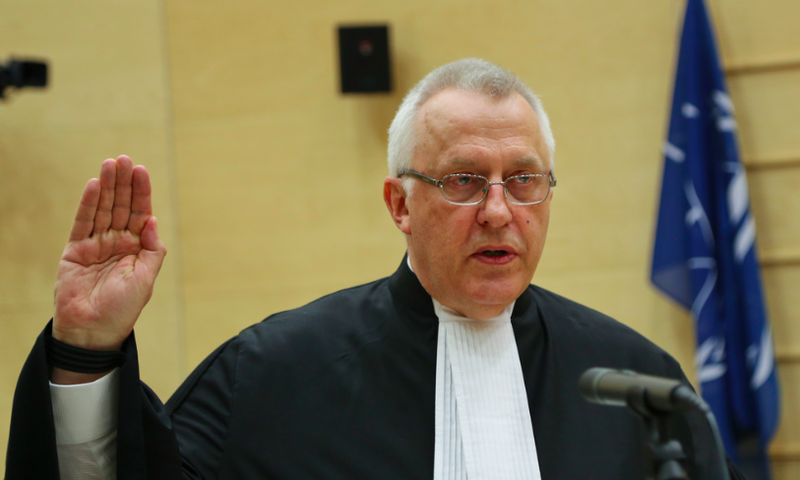 6 Responses to In the ICC’s Interest: Between ‘Pragmatism’ and ‘Idealism’?